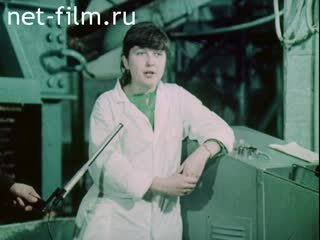 About the work of a country projectionist. Projectionist farm "Bogucharovo" Lenin district of the Tula region VI Trushin checks camera and film before showing a movie at the House of Culture, advertises the audience before the movie showtimes next show, "Go and see." VI Trushin attaches posters on billboards, meet with villagers, invites you to attend the movie. Reviews VI Trushin farm manager, rural school teachers, villagers.